"They've got some surprises waiting for you and your girl here." Cleopatra Ent. 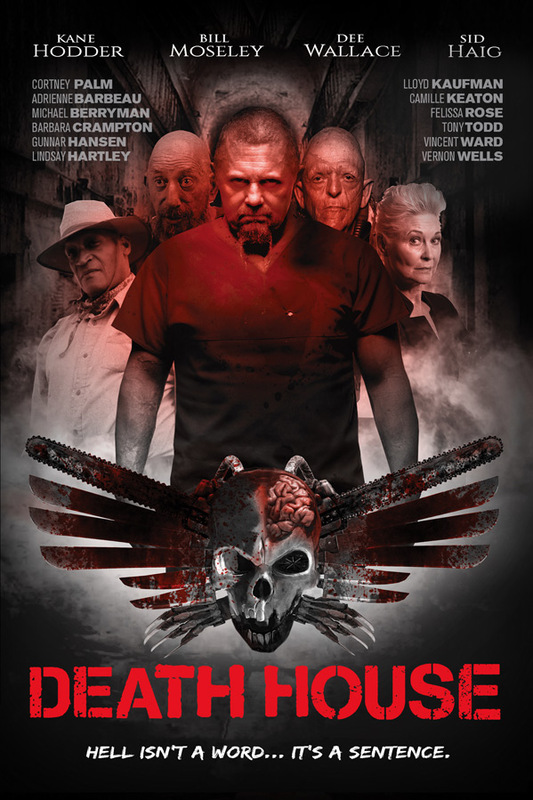 has unveiled a new official trailer for an indie horror film titled Death House, which first premiered at a small festival last year but didn't show up at too many other places. 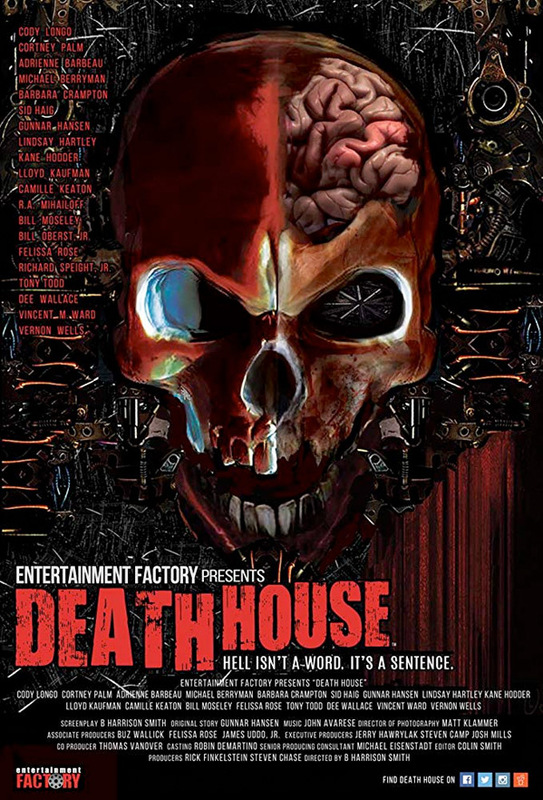 Made by filmmaker Harrison Smith, Death House is an "ensemble horror" described as "The Expendables of the horror genre" by critics. A power outage inside a secret prison known as the Death House sends two agents fighting through a labyrinth of horrors. As they fight to escape, the agents push toward the lowest depths of the facility where they learn a supernatural group of evil beings is their only chance for survival. Starring Adrienne Barbeau, Bill Moseley, Tony Todd, Dee Wallace, Barbara Crampton, Sid Haig, and Cody Longo. The film also features cameos from numerous iconic stars from past horror flicks. That seems like a cool idea for a new film, but this looks dismal at first glance. The film follows the events that unfold inside a secret prison, known as the Death House, after a power breakdown during an exclusive tour. Two agents are forced to fight through a labyrinth of horrors while being pursued by a ruthless army of roaming inmates. As they fight to escape, the agents push toward the lowest depths of the facility where they learn a supernatural group of evil beings is their only chance for survival. Death House is directed by filmmaker Harrison Smith, director of the films Camp Dread, ZK: Elephant's Graveyard, and Garlic & Gunpowder previously. The screenplay is written by Gunnar Hansen, updated by Harrison Smith. This first premiered at the Central Florida Film Festival last year, and not many other fests. Cleopatra will release Death House direct-to-VOD starting on November 6th this fall. Anyone?